I love answering the many questions I receive daily from people who think they are related to someone famous. Can I prove it? Uh, erm… Today I had a question about someone getting their DNA results back and finding they may be related to many different ethnic groups which was a real surprise to he and his family. Jewish? Black? Native American? Oh, but there is one little bit of interestingness in all this. The Lost Colony. We might find links to the Lost Colony of Roanoke through DNA. The mystery of the Lost Colony is suddenly (a drop in the bucket of time genetically speaking) coming back into discussion because of new inroads in genetic testing, advances in Archaeology and possibly a TV show. The Archeology hasn’t excavated any bodies, so genetically, who on earth could they test? No bodies = no DNA? The Descendants. The email listed several North/South Carolina associated Native American tribes – Lumbee and Croatan being among them. If you paid attention in school you learned that the only clue as to what happened to these planters (Plantation “16th- and 17th-century… involved the confiscation of land by the English crown and the colonisation of…land with settlers from the island of Great Britain.” – WikiPedia article on Irish Plantation) was a word scratched into a palisade post at the Roanoke Colony location, “CROATOAN”. – The Croatan, being already stirred up by the aggressiveness of an earlier group on a reconnaissance mission (read that military) and the lack of a good supply of drinking/farming water due to severe drought, attacked and killed all the planters. The theory current researchers seem to be working with is the latter, that the Planters were assimilated into existing populations – the Croatan included. With this in mind DNA researches like Roberta Estes and the Lost Colony Research Group are looking for DNA testers to add their DNA to The Lost Colony Research Project Gene Pool. The lost Colony Research Group has, with it’s goal of providing “a body of credible research [on the Lost Colony], in one location, available to all researchers.”, projects for the DNA end of their work. “The Y-line DNA project, for males who have a colonist surname or a surname of interest and whose families come from either Eastern North Carolina or England or have Native heritage. The mitochondrial DNA project (see below) , for males or females whose maternal line carries the Lost Colony surnames or surnames of interest and who are from Eastern North Carolina or have Native heritage. Anyone can join the Lost Colony Family Finder project, however, both the y-line and the mitochondrial DNA project have guidelines. Your surnames include those of the Colonists or others on the interest list AND your family is proven to descend from Eastern North Carolina, preferably before 1700, or the areas of interest shown on the maps later in this document. You have a history of Native Ancestry from this area, confirmed or unconfirmed. If you check out the Lost Colony Research Groups FAQ Page, you’ll see a complete list of projects as well as links to all the current surnames possible. Of course there’s a TV show in the works which may serve to give some new energy toward the work to finding the DNA of possible descendants. American Horror Story is taking on the ghosts of Roanoke in it’s newest incarnation. “…the American Horror Story season 6 theme has been revealed, and it is a bloody “Roanoke Nightmare,”Den Of Geek! Will the show be less about the haunted house in Roanoake, North Carolina portrayed in the first episode of the season and more about the Planters who disappeared? Either way just having the word Roanoke in the title should spice things up a bit for the Lost Colony Research Group. Good luck – I hope you get a lot of spill over from this! º Another listing of Surnames associated with the attempted English Plantation of Roanoke. I remember learning about the lost colony of Roanoke in middle school. Fascinating to think that DNA may play a role in finally solving the mystery. Certainly wouldn’t have thought that was possible back in middle school! I thought that the whole time I was researching and writing the post. We could not have conceived that this mystery has the possibility of being solved. My grandmother was born in 1906 in East Lake NC. Her last name was Ambrose. Her father was a Basnight. On that same line I have a ggrandmother who is Native American Indian. 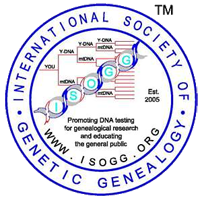 Would it be worthwhile to submit my name for DNA testing with this project? Previous Previous post: A little Epitaph Here. A Little Epitaph There? Next Next post: WikiTree search results now include DNA test connections.